Freechoice: Visit a local coffee plantation. 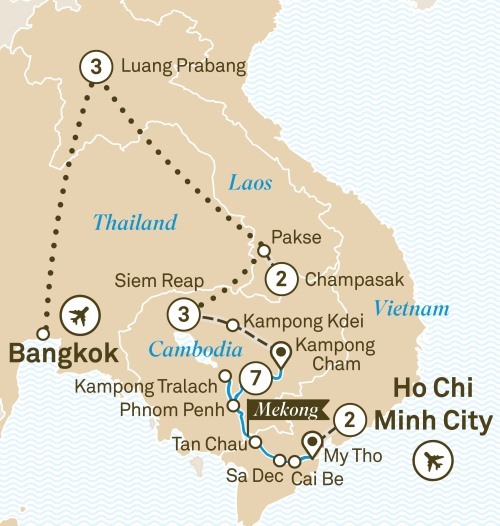 Cruising the Mekong with Scenic is a unique experience thanks to our all-inclusive luxury ship. From the moment you embark Scenic Spirit to the second you disembark, you’ll want for nothing. Along the way you’ll uncover floating markets, seek out ancient artefacts and visit initiatives changing the lives of street kids forever. An awe-inspiring sunrise over Angkor Wat helps to farewell Cambodia before you say Sai-bai-Dee (hello), to the hidden gem that is Laos. Three nights spent in the spiritual capital of Luang Prabang offers a perfect way to round out your time in this sublime part of the world.